For years, Jeanne M. Surbrugg, P.C. has been providing quality, personalized financial guidance to local individuals and businesses. Jeanne M. Surbrugg, P.C. 's expertise ranges from basic tax management and accounting services to more in-depth services such as financial statements and financial planning. Our mission is to help clients maintain financial viability in the present while taking a proactive approach to achieve future goals. This requires open communication to reach an understanding of our clients' needs, thorough research, and sound analysis. 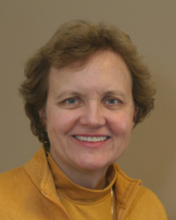 Jeanne M. Surbrugg, P.C. is dedicated to meeting these goals with high standards of excellence and professionalism. Jeanne has been a CPA since 1979. She had 11 years of experience in private industry and 3 years on the staff of a national accounting firm prior to opening her firm in 1989. She has a BS in accounting from the University of Colorado and an MBA from the University of Denver’s Executive MBA Program. She is a member of the Colorado Society of CPAs and the American Institute of CPAs which have requirements for continuing education and a peer review by another firm. She holds Colorado CPA Certificate Number 5353 issued September 1979. 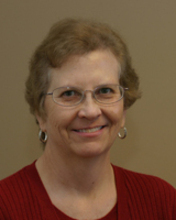 She enjoys working with small businesses and individuals providing accounting and tax services. She is a Certified QuickBooks® Professional Advisor and enjoys assisting clients in setting up their own accounting systems. © 2019 Jeanne M. Surbrugg, P.C. All Rights Reserved.